If we have to see it, so do you. Just when you thought you had seen every awful notch on a phone, Sharp is here to one-up them all. Like the Essential Phone, the Aquos R2 Compact has a small eraser-shaped camera notch at the top of the screen, which is all good. But when you get to the bottom of the screen it all falls apart. Why? Because there’s a notch down there that wraps around the fingerprint sensor. We know what you’re thinking, and no, we don’t know why Sharp didn’t just put the sensor on the back like with every other Android phone. We also don't know why it didn't just increase the size of the chin. But as it is, you’ll get a rectangular notch at the bottom of the screen that cuts around half of the fingerprint sensor, while the other half rests below the screen. It’s also got a headphone jack and water resistance, and comes in a unique “smoky” green color. We’re not really sure how smoke and green go together—it looks more like seasick-green to us—but whatever works for Sharp. We’re not sure how smoke and green relate, but here’s the Aquos R2 in Smoky Green. 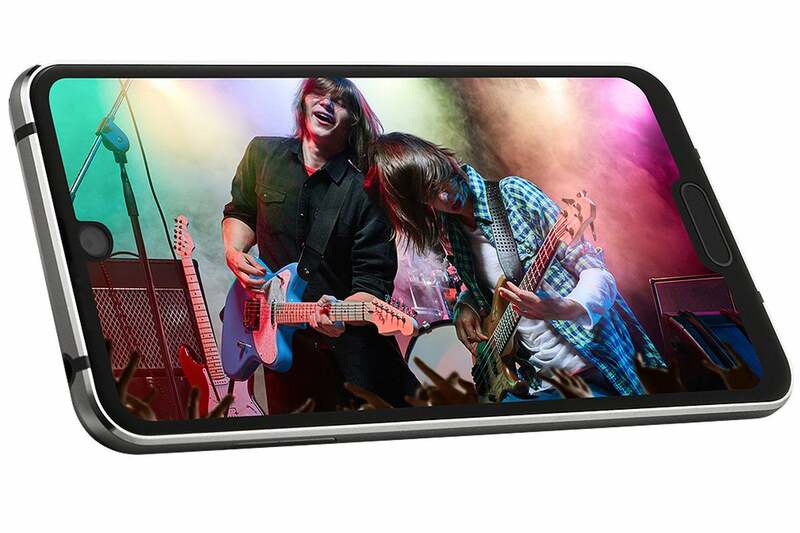 Most interesting about the Aquos is its 5.2-inch screen. It’s rare to find an Android phone that’s smaller than 6 inches these days, so 5.2 inches is downright tiny, which will only make that notch look bigger. Plus, it utilizes Sharp’s somewhat proprietary indium, gallium, zinc and oxygen (IGZO) display tech, bringing higher resolutions and lower power consumption than traditional LCDs. 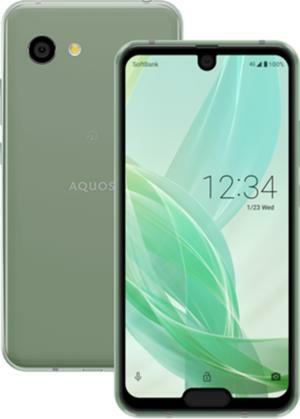 The Aquos R2 Compact will go on sale in Japan later next year, with no plans for a U.S. release. For that, we're thankful. Why this matters: We’re hoping that the Sharp Aquos R2 serves as an example of how not to do phones, because if double notches become a trend, we just might have to start using a BlackBerry again.